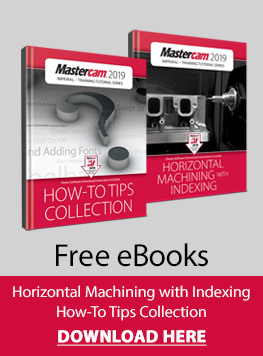 The Mastercam 2019 Art HLE allows you to use Mastercam Art on a trial basis. The full Mastercam 2019 HLE must be downloaded and installed first. For 2019 there is ONLY a 64bit version which can only be installed on 64bit versions of Windows 7/8/8.1 and newer. You are downloading an executable file (.exe). Once you have the full HLE installed and have downloaded the Art HLE, simply run the file and follow the on-screen instructions to install.